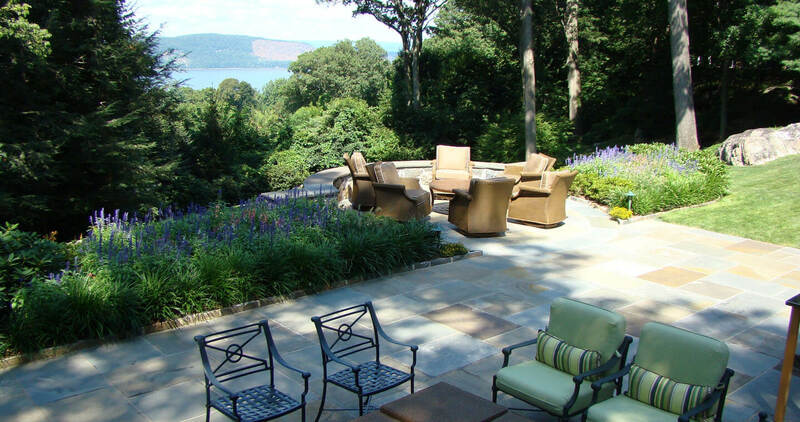 Our mission, at Johnsen Landscapes & Pools, is to transform properties into outstanding outdoor settings that are truly enjoyable. Imagine sitting in a peaceful terrace garden surrounded with flowers or entertaining friends by your new pool and spa. That is our specialty. 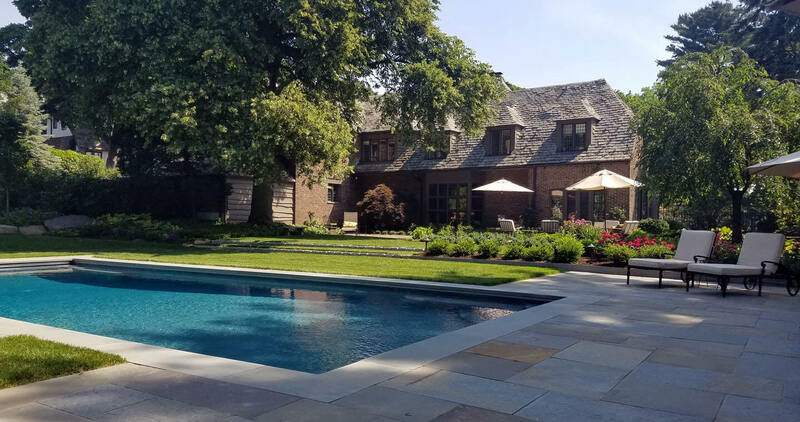 We create a site and landscape design of your grounds illustrating whatever it is you desire – an elegant swimming pool, inviting front entry, rear terrace and flower garden, meditative green space, or impressive entry drive – and then utilize our expertise to guide the overall installation. 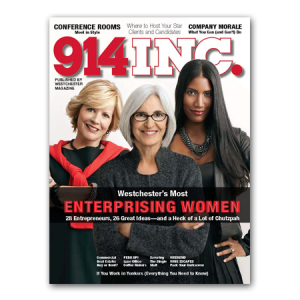 We serve many counties in the NY and CT area: Westchester, Putnam, Dutchess, Columbia, Rockland, Orange, Ulster, Fairfield and Litchfield Counties; as well as New York City Boroughs. We also have projects in Massachusetts, Maryland and Florida. Our process begins with an initial on site discussion about your landscape ‘wish list’ and identifying the unique possibilities of your property. We then prepare a design services proposal based on our discussion. Upon acceptance of our proposal, we move forward with developing a detailed design for your property. Once your design is completed and approved, we are available to ensure a smooth and successful installation of your project. 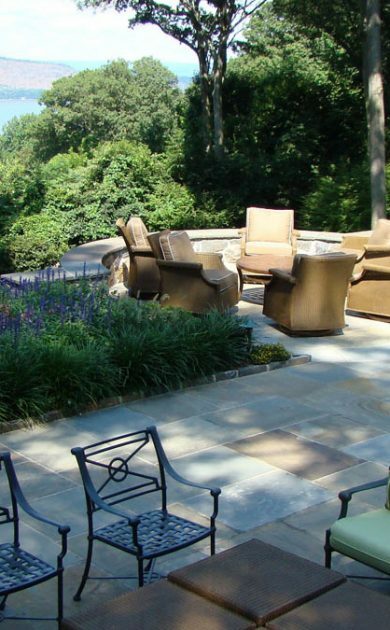 We develop our plans using Auto-cad to address grading, design layout, materials, drainage, details, plants, and more. We work closely with our clients and easily collaborate as required with architects, engineers, surveyors and other professionals to implement a shared vision. 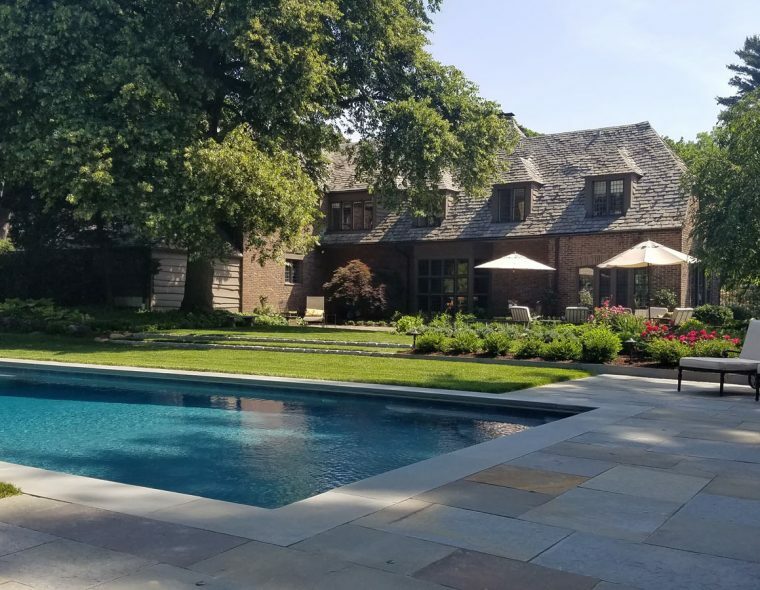 Our Project Management Services includes complete construction oversight, coordination, scheduling, budgeting and cost estimating services for the installation of: swimming pools & spas · stone walls & terraces · decks · patios · plant beds · trees & shrubs · lawns · drainage · landscape lighting · landscape irrigation · fences · site work · and much more. Our services provides for an integrated approach, ensuring exceptional outcomes and value, all delivered seamlessly and hassle free. We are committed to exceptional outcomes and complete client satisfaction. Our Property & Landscape Care Consultation provides expert advice and oversight of the required horticultural activities necessary to keep your grounds looking their best. 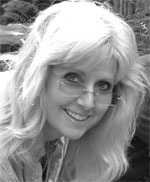 Jan is an award-winning landscape designer, author and speaker. 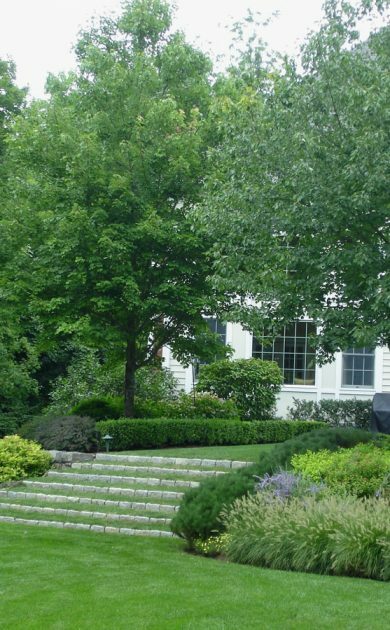 She studied landscape architecture and received a graduate degree in planning. She has worked in New York, Honolulu, Japan, and Washington, DC. Her commissions range from small gardens to large landscapes and her work has been featured in many publications. Her latest book is ‘The Spirit of Stone – 101 Practical & Creative Stonescaping Ideas for Your Garden’ (2017, St Lynn’s Press). This follows ‘Heaven is a Garden’ (2014). 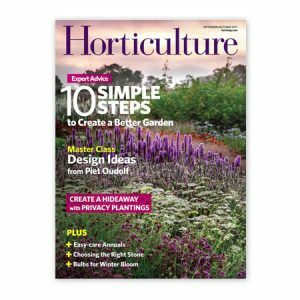 Jan shares her garden advice on her blog, ‘Serenity in the Garden‘ and on her Heaven is a Garden Facebook page. 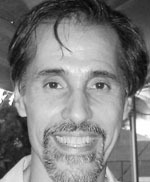 Rafael’s lifelong commitment to fine craftsmanship is evident in the installation of our projects. His disciplined and expert approach ensures quality and efficient outcomes, which regularly exceeds our clients’ expectations. 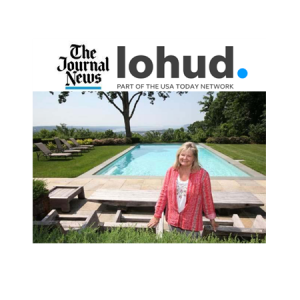 Laura has received a master’s degree in Landscape Design from Columbia University and a design certificate from New York Botanical Garden. She is a long time instructor at the NY Botanical Garden. 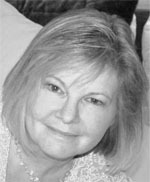 Her design expertise and commitment to client service ensures exceptional results on all levels. Our clients love working with Laura and appreciate her detailed follow through on every project, large and small. 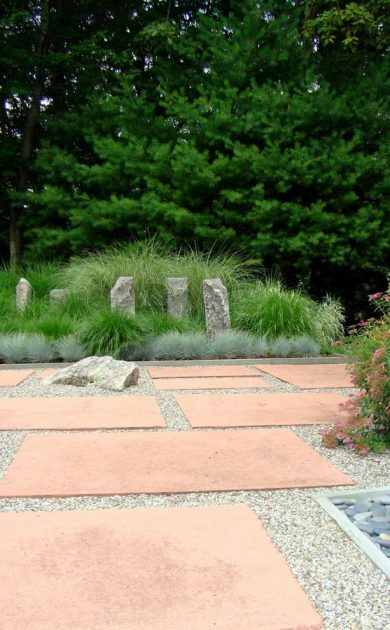 Key considerations for designing a stone walkway that suits you garden’s style, climate and functions. 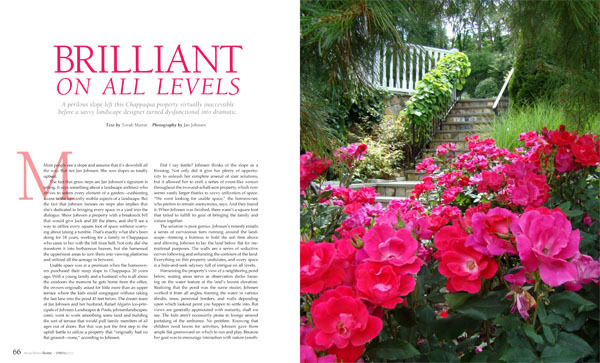 How Jan Johnsen blends ancient and modern ways to create gardens that simply make you feel good. 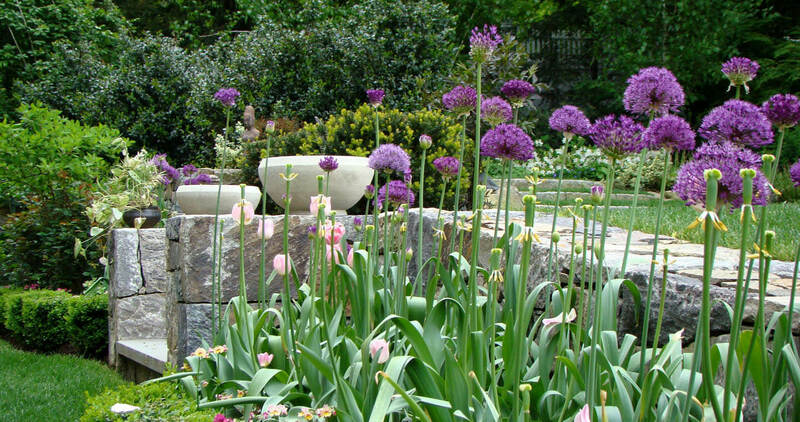 Why do some gardens make us feel so wonderful, relaxed and refreshed? Using ideas based on ancient and modern practices, this book shows how you can uplift yourself and others in a serene setting designed for “unplugging” and relaxing. 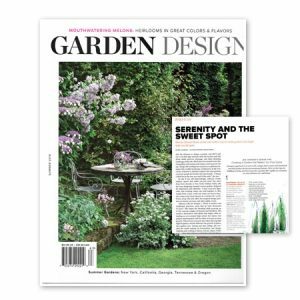 Whether you are intending to create a lovely garden or just thinking about a future outdoor haven, Heaven is a Garden will help you see your backyard in a whole new light and reawaken an awareness of the wonders of Nature. 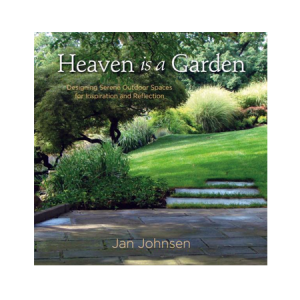 “Simplicity, Sanctuary and Delight” is the guideline that noted landscape designer Jan Johnsen recommends in this elegantly written book. 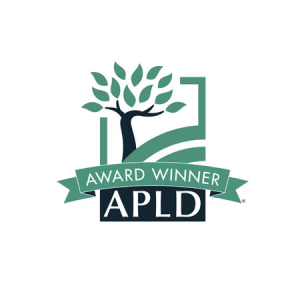 2014 Award: The site is a large, steeply sloped, partially wooded, west-facing property. It is characterized by large rock outcrops and the topsoil layer is fairly thin. The site faces the Hudson River. Our inspiration for the property was to create a feeling similar to that of the Hudson River School painting style: refined yet naturalistic. The design creates an impressive yet harmonious setting that enhances the spectacular nature of the site. Our environmental objective was to minimize storm runoff, retain as much of the native rock outcrops as possible and use plants suitable for slope conditions. 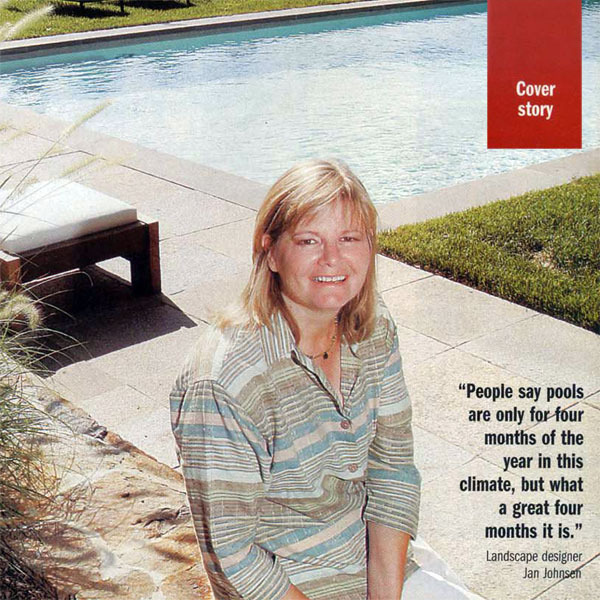 Just like people, pools, too, have personality – if they’re lucky. 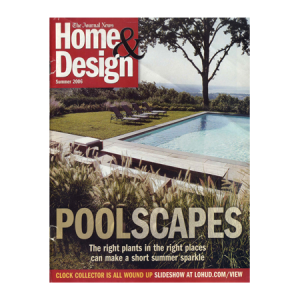 Landscape designer Jan Johnsen, who studied and worked in Japan and Hawaii, has designed many over the last 40 years, and she believes every one of them has its own persona. Of course, Johnsen’s plans also take into account the owner’s vision and personal tastes, but the site’s personality traits have to be considered. When she was in the third grade, Jan Johnsen planted corn seeds on the windowsill of her family’s New York apartment. She soon branched out to the fire escape, where pots of flowers and vegetables thrived. At 16, she won first prize in the Manhattan borough-wide science fair with an experiment on how sound affects the growth of plants. “My teacher thought it was a stupid idea,” she says, “and that made me want to do it more. I just intuitively knew there was a connection.” Since then, scientists have learned that the high-frequency vibrations of birdsong open up the pores on plant leaves so that they absorb more air and nutrients. 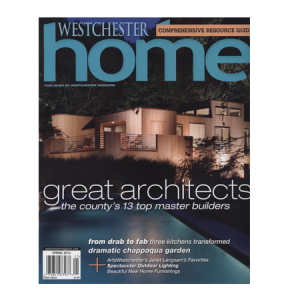 A perilous slope left this Chappaqua property virtually inaccessible before a savvy landscape designer turned dysfunctional into dramatic. Most people see a slope and assume that it’s downhill all the way. But not Jan Johnsen. She sees slopes as totally upbeat. The fact that grass steps are Jan Johnsen’s signature is telling. It says something about a landscape architect who strives to soften every element of a garden-cushioning access to the upwardly mobile aspects of a landscape. But the fact that Johnsen focuses on steps also implies that she’s dedicated to bringing every space in a yard into the dialogue. Show Johnsen a property with a breakneck hill that would give Jack and Jill the jitters, and she’ll see a way to utilize every square foot of space without worrying about taking a tumble. That’s exactly what she’s been doing for 18 years, working for a family in Chappaqua who came to her with the hill from hell. 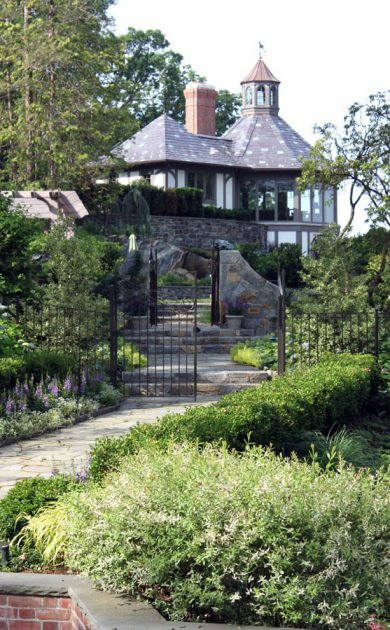 Not only did she transform it into herbaceous heaven, but she harnessed the uppermost areas to turn them into viewing platforms and utilized all the acreage in between. As you make your way down along the grassy path from the 1930s hilltop house on Lounsbury Road in Croton-on-Hudson to the secluded pool area that sits just below the apple orchard, a hint of sun warms the back of your neck just before you settle into one of the large wooden chairs at the edge of the pool. The ornamental grasses behind you sway gently as a river breeze catches the seed heads, sending them bobbing in the brightening morning light. 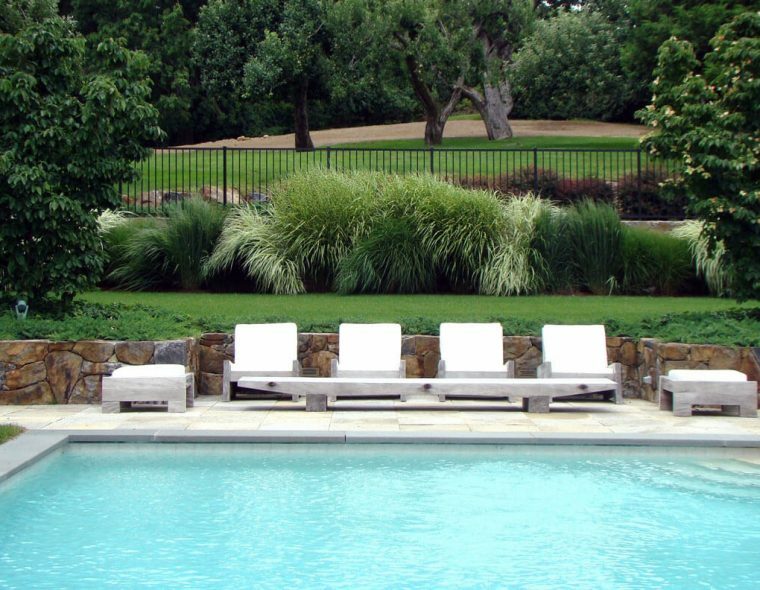 The shadow of the great oak that stands between you and the Hudson begins to stretch out across the hillside and the gauzy morning haze over the river seems to be lifting, bringing with it the promise of another great day poolside.